The T880 exemplifies Kenworth's long-time core values of quality, innovation and technology. 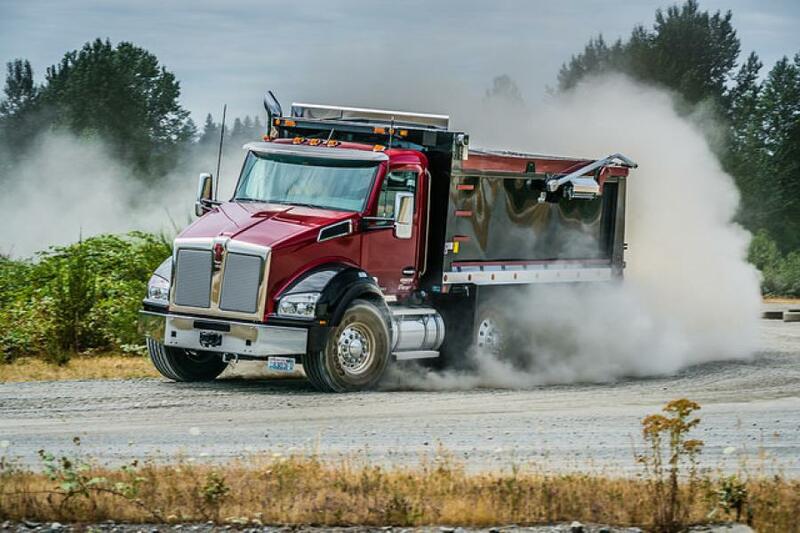 Kenworth has released a fast-paced, 2-minute video on the Kenworth T880, the company's flagship vocational truck. The T880 exemplifies Kenworth's long-time core values of quality, innovation and technology. The durable T880 is a dependable, versatile truck capable of performing the toughest jobs productively and efficiently. Drivers appreciate the T880's bold design, panoramic windshield, spacious interior and superior overall performance. The T880 is standard with the PACCAR MX-13 engine rated up to 510 hp and 1,850 lb-ft of torque. The PACCAR MX-13 provides a lightweight, fuel-efficient engine for vocational applications, including dumps and heavy haul applications over 100,000 lbs. The T880 also is available with the PACCAR MX-11 engine with up to 430 hp and 1,650 lb-ft of torque. The 10.8-liter engine is 400 lbs. lighter than 13-liter engines and provides truck operators with enhanced payload capacity and fuel economy. In addition to the T880 day cab and T880S with set-forward front axle configurations, the T880 is available with a 40-in. sleeper, and 52-in. and 76-in. mid-roof sleepers. To see more Kenworth videos, visit and subscribe to the Kenworth YouTube Channel. Kenworth is The Driver's Truck. See what drivers are saying at www.kenworth.com/drivers. To learn more, visit www.kenworth.com. Kenworth is a PACCAR company.